I've spent the better part of four decades in the automotive repair industry, so few things surprise me, but this one really boggled the mind. A colleague had sent me a picture of a brake, so worn the pad had fallen out and punctured the car's tyre. Horrifying as the image was, experience tells me the loud noises coming from those worn brakes would have been so obvious even turning the stereo up full blast wouldn't have muffled the sound. Caught early - say when the noises started - it would've been a relatively simple repair and would have avoided that potentially deadly puncture. Most car owners are good when it comes to looking after their pride and joy - they stick to the scheduled servicing and when repairs arise, they address them in a timely fashion. Some can be a little lax when it comes to servicing and maintenance, but then there's a small group who choose to ignore when something is wrong with their car. If you suspect something is wrong with your car, don't stick your head in the sand. Get it checked, because it won't fix itself. 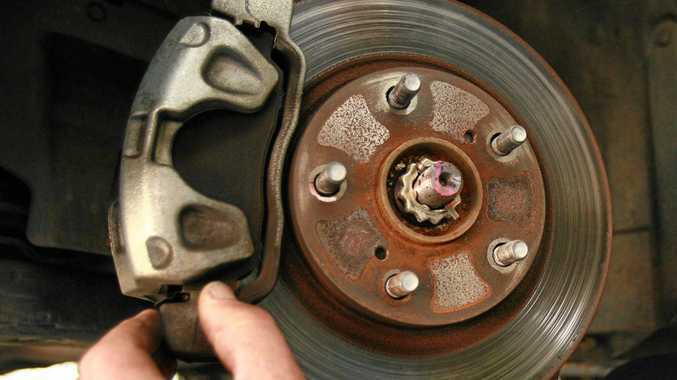 To do otherwise is dicing with death, and no amount of stereo music will save you if your brake pad shears through your wheel.